Welcome to AragónGourmet, online store that was created in 2012, with the conviction that the products that are made in our land, Aragon, have an excellent quality and are worthy of reaching consumers from all over Europe, we guide ourselves for the craftsmanship and author, it is very important to emphasize that the products we offer have to go through a quality prior tasting before being offered. 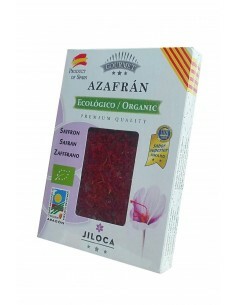 We are specialized in the production and packaging of saffron offering formats for all tastes and all of great quality, several of the formats are with continuous shipping offer being most of them free with only one unit delivering them in 48h, more comfortable than searching a quality saffron and true from store to store. In addition to the saffron and its elaborated that are of our own production we offer many more articles of our land, gastronomic selection that covers the most gourmet needs of any pantry in Spain and Europe "Wine, oil, preserves, sausages, hams, pates, saffron and many more articles that we will include in the future. The true gastronomic power of Aragon is divided between Teruel, Huesca and Zaragoza, but you can also find very select and unique products from other parts of Spain and the World.